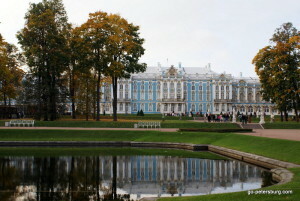 Here you will find yourself in the atmosphere of the most opulent age in the Russian history – middle of the 18th century. Endless feasts, gold and porcelain everywhere, dresses of enormous sizes, tremendous hairdos and thousands of serves… The palace is mostly famous for the Amber room which is totally made of amber. This palace is also a memorial to the heroic Soviet restorers as it was terribly looted by the Nazi in the years of the World War II and then recreated from ruins. You see that in the hard and poor post-war years Soviet people first took care of saving and preserving the past and culture and material life and comfort was not this important for them!